The Castle School of English | Edit Blog Should I study English in a UK language school? But this can take a very long time. It also varies depending on your circumstances. Will you live and work with English people every day? Will you need to communicate in English to do your job? Will you read English newspapers and books? Will you watch films in English (without subtitles)? Will you have English speaking friends? If the answer to these questions is “yes” then after a few years you should hopefully have good English. 1. You make a grammatical error. 2. You make it again and again for years because nobody corrects you because they understand what you mean. They can understand your meaning from the context of your conversation. It would seem rude to correct you and there would be no need because they understand you. 3. You learn the error. It becomes part of your English. It is called a fossilised error because it is old and formed over a long time and very hard like a fossil. Fossilised errors are permanent, by definition. They are not just about grammar. Pronunciation is another area where fossilised errors are common. It is very difficult to change them. This might not be a problem if it does not affect communication. If everyone understands, that is fine for a lot of people. Perhaps you would be happy to have English with a few fossilised errors. That’s OK.
Of course, if your answers to the questions about perfect circumstances above are mostly “no,” then the learning process could take much longer. If you work and live with people from your home country, and don’t use English to communicate every day, you may never get very far with your English skills. And so, under optimal circumstances, you can learn English without joining a language school. It might take longer, and you may develop fossilised errors, but you can learn outside of an English course. Not everyone wants to end up with “perfect English” anyway. But you need to be honest, will your life in England provide the perfect circumstances I described earlier? 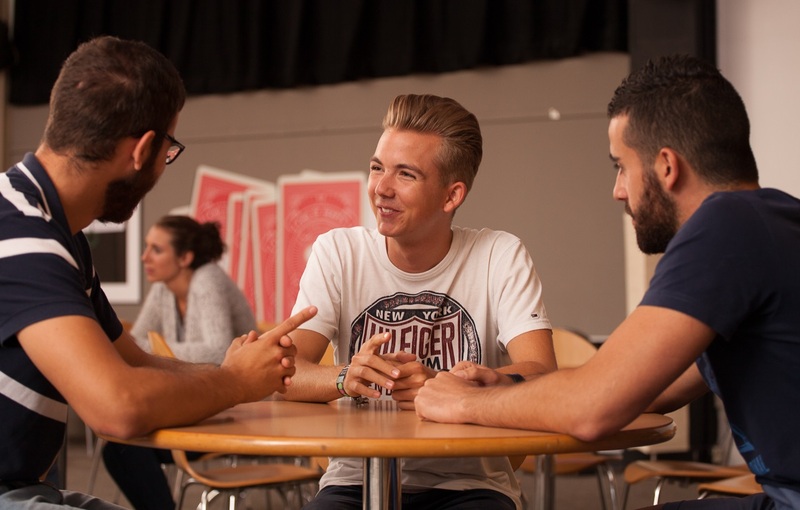 Having said all this, there are advantages with joining a language school to study English. Probably the biggest advantage is the correction from the teacher. Error correction guides a faster language development and significantly reduces the chances of fossilised errors developing along the journey. The second advantage is the way the language is presented to you in English lessons. English courses are carefully designed so that you are presented with the next appropriate step in your language development. You are introduced to new vocabulary and grammar, and are given the opportunity to use the new English in a carefully controlled and monitored environment. Your progress is recorded and everything is revised and checked at a later date. Most people need a bit of pressure to achieve things. Do your Homework. Come to your class. Be on time. Deadlines and expectations from an English teacher will have a positive effect on the effort you will make. With no one watching you, it is easy to be less motivated to push yourself every day. A good and motivated teacher will motivate you to try harder and learn faster. Motivation is an important part of the English language classroom. Also, the English class is a friendly and safe place to practise, make mistakes and improve. Everyone is learning and the atmosphere is supportive and positive. English courses are a great way of meeting people, making new friends and having fun. There are English courses and social activities too. In conclusion, English language lessons cost time and money, although some English courses could be cheaper than you expect. It is possible to eventually learn English without English lessons. However, I strongly recommend them. Try them and see how you feel.